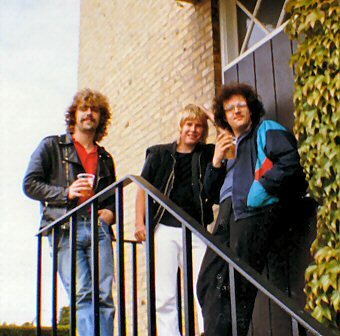 Back in the mid 80′s a garage band was formed in Jyderup, Denmark with the name Thanatos. However, it became known to us that a Dutch band was using the same name and after some changes int the line-up we changed it to that of the Nordic Goddess, Gefion (also because Thanatos, the Greek God of Death, sounded a bit too ‘dark’ for our music). After some years the name was changed again to Moshall, before finally splitting in 1990. 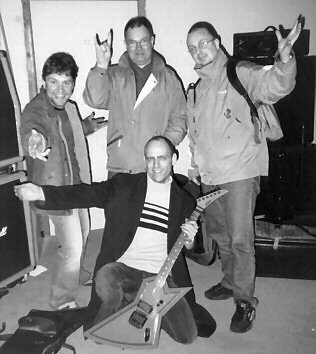 Since then I (‘Syrinx’) have felt devoted to some our old songs, especially those of my own, and have kept them alive since then. At this moment I’m working on producing a cd with the best of our songs using better equipment etc. than was available ‘back then’ – supposedly to become some kind of ‘the demo we never managed to finish’ in the early years and, hopefully, with some more potential to it as well. All tracks are performed, recorded and produced by me, with a few guest appearances on the solo and vocal sides. The lyrics writer and I have decided to release this under the new name Chilling Dawn, which is also the title of one of the songs as well as the original working title for the album. More information about “The Old Days” can be found on samlersind.dk (in Danish). Moshall released a 3 track demo “End of Discussion” in May 1989. Hmmm… production supervisor… må jeg gerne skrive det på mit CV?